As a single woman in her mid-sixties, the answer to that question has the potential to change the course of action I am following. In my younger years, that was not as true. However; today, I definitely weigh the cost of a project or activity before getting involved. 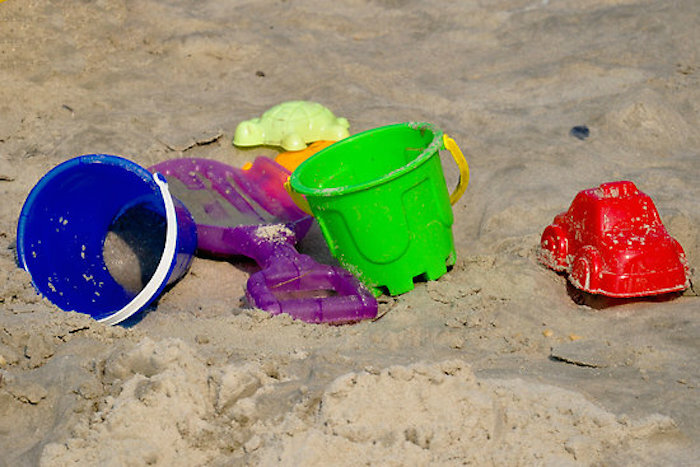 Recently, I spent the weekend at the beach with my three grandchildren! The highlight of Saturday morning was to play on the beach! After fixing a big breakfast full of “kid-friendly” food, I made some sandwiches, grabbed a few snack bars, fruit, bottled water and rallied the troops from the TV. I checked to make sure everyone had a towel, their flip flops and sunscreen. Then we headed under the house to get buckets, shovels and other sand paraphernalia. I got a beach chair and, FINALLY, we were headed for the beach with my little Yorkie, Rudy, following in pursuit. Being early spring, we settled down to build castles, hunt for sea shells and draw pictures in the sand. We skipped along the beach and soaked up the soft sun rays. With Rudy barking at our side, we discovered the latest sand crab holes. We tried to see if we could lure them out? Thankfully, we did not! Finally, we plopped down to eat our picnic. Soon we all were trekking our way up the dunes towards the house. But somehow our bundle of towels and sand toys had multiplied during the time on the beach. While my three “crabby” grand kids trudged their way up the path, I quickly double timed one load of beach gear to the house and returned for a second. Now began the ritual of washing off everyone and everything! I collected the drenched, sand-filled clothes as my grand babes danced under the cold, cleansing water. Hurriedly, I wrapped each one in a warm towel and sent them up the stairs to find dry clothes. Close to exhaustion at this point, I rinsed the dog, the toys and at last- returned the chair to its place. I searched my mind. Then through my mental fog came a resounding answer: “Yes! It was worth it!” Why? Because family times like this one build memories. More importantly, these moments establish relationships that last for a life time. A legacy is passed from one generation to another such that in a not-too-distant future these same young children will be leading their families down their own sandy paths of life. They may not remember this specific outing. They may never know the effort and energy their grandmother invested, but the footprint will have been laid. The foundation will have been built one “sandy” step at a time. As I walked into the house I could hear the pitter patter of young feet above me. And I asked myself: “Will I do this again? Is it worth it?” Absolutely. Cathy, What a wonderful reminder. Yes, it is worth all the trouble to make connections in our families. Great story. Sounds like a fun day with the grandkids. Precious memories. Thank you. I agree. It’s definitely worth it to invest in our grandkids’ lives. I wrote a Bible study to encourage and equip grandparents to pass on a legacy of faith. It’s called: Preparing My Heart for Grandparenting: For Grandparents at Any Stage of the Journey. You can order it online or through bookstores. Happy grandparenting!